GOOD MORNING & welcome to our LAST day of sneaky peeks! Today we are showcasing our FINAL 2 sets! They are "Live, Love, Laugh & Be Happy" & "Pretty Butterflies & Dragonfly Dies"! I am SOOO IN LOVE w/these last 2 because you can make SO MANY PRETTY THINGS w/this AWESOME set! For my first card, I did some watercoloring first, THEN I die cut the biggest butterfly & pop it up w/pop dots! AS you can see, I designed this set to have the stitching on the negative part so you CAN make a BEAUTIFUL card like this one! I just LOVE it! My next card is a simple card using the dragon fly die! As I was designing this set, this is the card I had in mind for it! 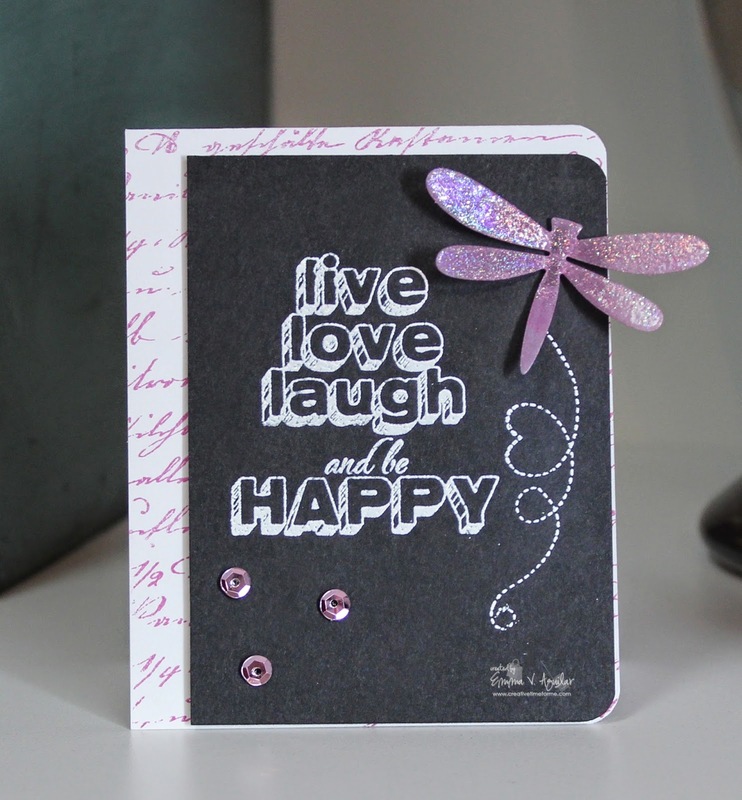 I just LOVE all the butterflies & this dragonfly die in the set! I also used a set we sneaked earlier this week "Build a Scripty & Watercolor Background" stamp to stamp the background onto the white base of the card. Here, I made a card showing you ONE of the possibilities you can do w/these dies! 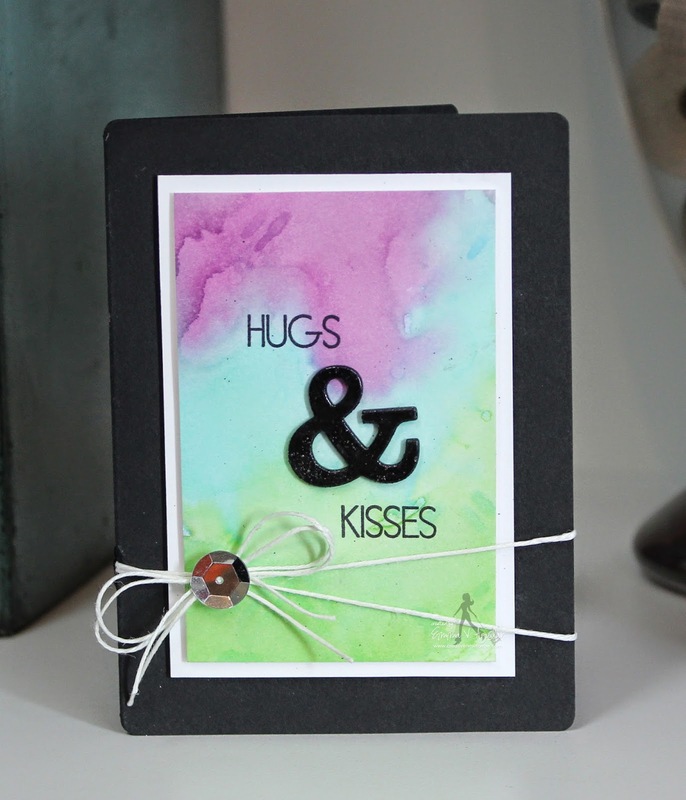 I designed them to coordinate w/my "Lowercase Fun Dies" For my card I did some watercoloring in the background & added the "hugs", "kisses" from my other set "And Then Some!" Like I said I wanted to do for this new year, here I am showing you a little Pre-Sneak for the June release! Let's just say that all of you "doggie lovers" out there, you are going to LOVE this set! 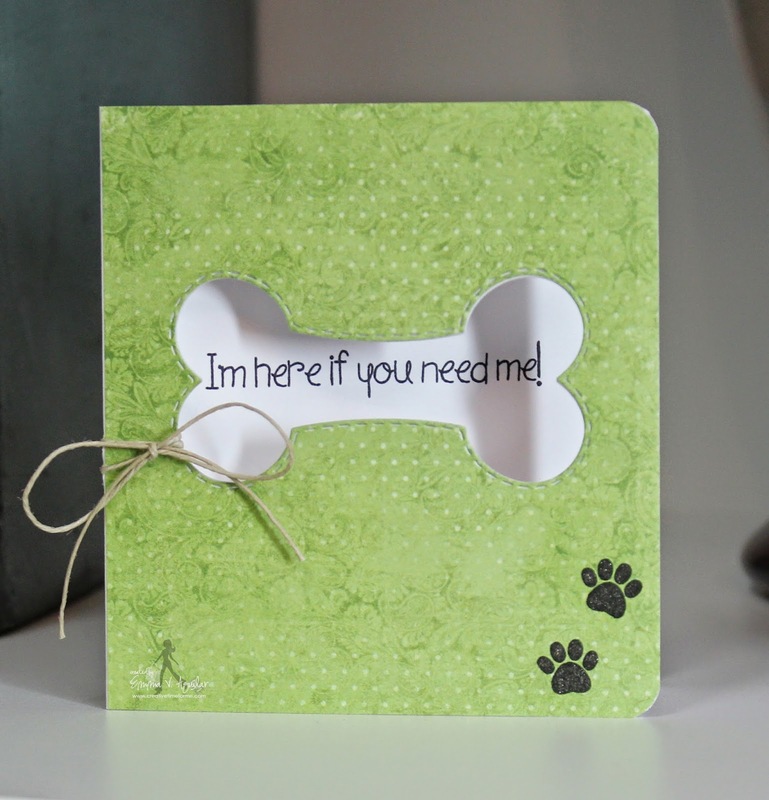 So I just wanted to show you a window card I made using the new bone die & sentiments! I hope I gave you something to look forward to in June! This is another part of the PRE-SNEAK for the June release! These are a set of 4 notecards! You can see these in their entirety in my video! ;) P.S. 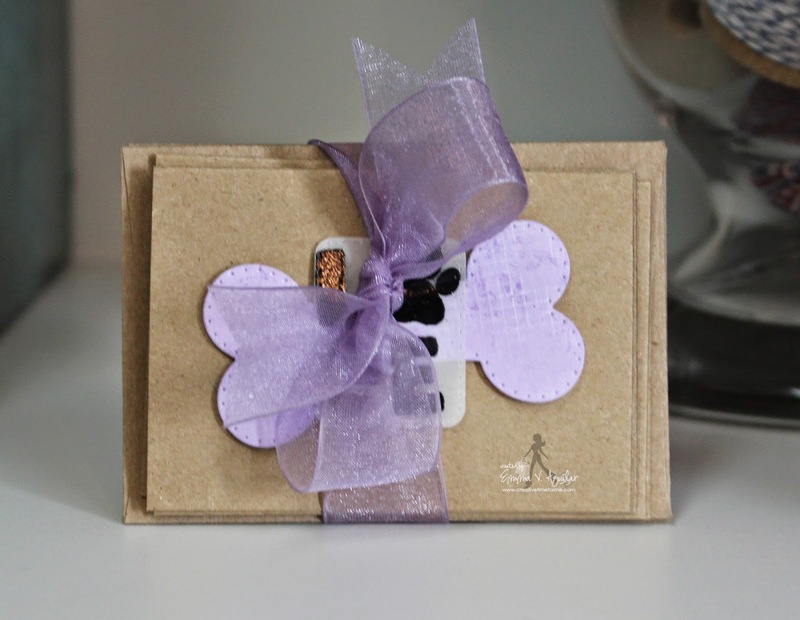 if you are a doggy lover, you are going to LOVE this set of 4 notecards! We will be giving away the sets we are showcasing each day to ONE lucky winner! For example, the set we are showcasing on Wednesday, I will announce the winner of that on Thursday & the sets we are showcasing on Thursday, I will announce that winner on Friday in my video! ALL you have to do is leave a comment on each of our blogs! You are NOT required to comment on EVERY SINGLE blog, but the more you comment on, the better chance you have for winning! VERY IMPORTANT, PLEASE leave a way for us to contact you w/your comment just in case "YOU" are the lucky winner! Okay, the lucky winner from yesterday's sneaks HERE is……. CONGRATS Miss Gaylynn! I will be contacting you shortly for your info! That is a WRAP for all the sneaky peeks! I hope you thoroughly ENJOYED EVERYTHING just as much as we had a BLAST creating everything for you this week! Don't forget to join us here tomorrow 5/30/2014 at 8am PST for our "32nd Edition May Release" blog hop! AND EVERYTHING you have seen this week WILL be available for purchase HERE tomorrow 5/302014 @ 8am PsT as well! Don't forget to use the coupon code: MAY2014 to receive 20% off your entire order! This discount applies to "IN-STOCK" items ONLY! If you are the first 150 shoppers, my Mom & myself will automatically add your free die set to your orders! You do not need to do anything! If you were NOT the first 150 shoppers, you will see this die set in the New Release category available for sale! These cards are stunning!! I love how you used the watercolour in the first card, such a good effect! Emma, So very pretty! Sneak peaks are addable as well! LOVE THIS EDITION MISS EMMA!!!!! TFS and what beautiful cards. On the pre sneaks for next month I love them I am hoping you will have some CAT furry baby stuff too!!!! OMG what an awesome stamp and die set Love....LOVE!! Your cards turned out amazing love all the different ways to use everything and it's so cool your new look to your dies gosh aren't you so clever how you keep coming up with new ideas and you know you were the one to start the trend with the stitching on the dies....how flattering right!!!! Your little gifty stamp set is so adorabs love it....sooooo can't wait 4 2morrow....This is one awesome Release.....OK headin' back up to visit the DT blogs everything looks amazing love to read what they did. YOU so ROCK!! Gorgeous cards Emma! This is one AWESOME release and you have everyone super EXCITED about tomorrow!!!! I love the butterfly card! So pretty! The dragonfly card is amazing too. I can't believe this is your 32nd release. Your releases are always just amazing along with all the inspiration. I love to purchase your stamps and dies they stamp great and cut out superb. Can't wait to get my hands on this release. Amazing job Emma! Super showing Missies! Digging the blackboard look with the LLL and be Happy stamp. OMGosh, this is right up ally! This set is a must have for me. I am loving today's sneak peaks! LOVE the butterflies and dragonfly!!! So beautiful. I just love the butterfly die set. You can do so many cards with the die stamp set. Keep them coming Emma. I just love your dies. Simply gorgeous creations today, Miss Emma! Butterflies bring out the pretty in everything. Fabulous release. Can't wait to order tomorrow! I love butterflies and dragonflies, too. Great cards! Can't wait for June's release -- I'm a dog lover and I also know several dog lovers. This May release is fabulous! Love the butterfly and dragonfly! I am also excited about the sneak peek dog theme. Oh my goodness! Emma your cards are fabulous!!! I love them all!! Hugs!! Emma, your cards are just stunning! Gorgeous watercoloring! Can't wait to get the doggy set too! Thanks for another FABULOUS release!!! Wow, Emma, your cards are beautiful. This release has me so excited to start making cards! MCT has done it again! This newest release is a must have. I love all of the cards that have been showcased. OMG! you guys are so talented! Emma, your card is GORGEOUS!!!! I'm totally loving this new release! I can't wait for tomorrow so I can shop!!!! I love butterflies!! Adore the butterfly die!! Very BEAUTIFUL!!!! Fabulous projects!! The butterflies dies you showcased look awesome and a must have! I love all of your cards on today's sneak peek! Amazing! I LOVE butterflies! Wonderful job on the projects! 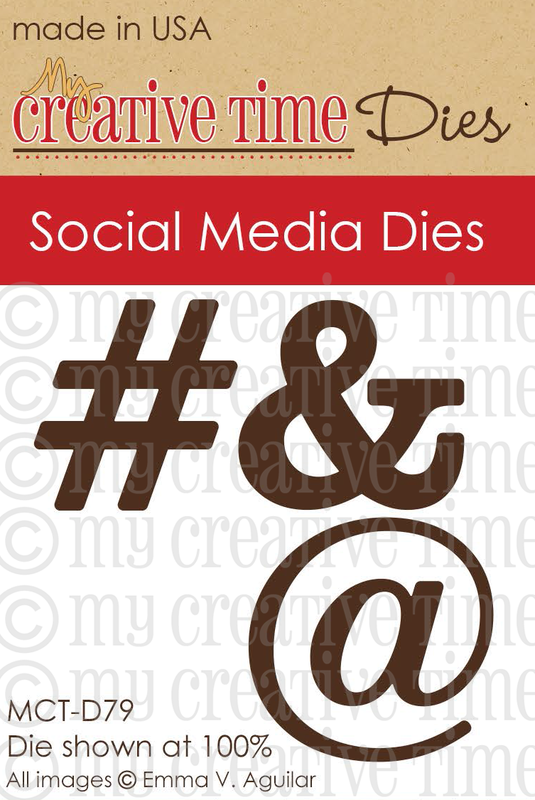 I have been saying FOREVER to myself that I need a hashtag die! YAY!!!! Oh this is fantastic news, indeed! Thanks, Emma!!! I'm so excited about this release, I can't wait to get my hands on those adorable butterflies! But you've really outdone yourself with that sneak preview of your June release....can't wait!!! oh WOW!!! this week has been amazing!! I LOVE butterflies and dragonflies!! I can't wait to place my order tomorrow!! your DT are AWESOME!! such talent! Can't wait for the dog set. thanks for having the hop. Hi emma lovin the hop an new release!!! I have soo many butterfly dies already,but no side ways ones an no stamps so...WOW..another gotta have!! WOW!!! I must say that you and your design team make it impossible not to want it all!!! Emma ~ OH MY WORD! These are simply GORGEOUS and STUNNIGN! That butterfly one is so BEAUTIFUL! Then so are the other cards! BEAUTIFUL!!! Okay the sneaks for next month ~ EEK! I can't wait!! TOTALLY ADORBS!! CONGRATS to the winner and let me just say ~ LOVED todays sneaks too! BEAUTIFUL job ladies!!! AWESOME cards with the butterflies and flowers...particularly loved Stacey's card..so well done! Wow your card is beautiful Emma! The design team is awesomeballs and so is your products! Great release!! The butterfly card is beautiful. Your watercoloring is so neat! I must have these butterfly dies and stamps. Oh my...Butterflies and a Dragonfly...now i am one happy crafter!!! Another must have!!! And the creations from you and the team...WOW!! Love this sneak peek! Can't wait to get my hands on the release! Sneak peek: WOW!!!! I love the new butteflie die, is amazing!!! I need it! Oh my!!! Here we go again, another fantastic set of stamps and dies...I have to have them all! I love all the projects you made with them and your design team too. Thank you so much for doing this.....I love every last product I have gotten from you, and get wait to get these. Another amazing release Emma - I cannot wait to get my hands on those butterfly dies! Oh My Word! I love butterflies and dragonflies and hummingbirds ;) These will look great with last months flowers! The font on the stamps are beautiful...I like how the sentiments are decorative and interesting. It has been a super week of great videos and projects. Every project was wonderful. My head is spinning with ideas and things I saw and don't want to forget. Fabulous job everyone. Great release! OH I THINK I AM IN HEAVEN! I am sooooo loving theses! The entire peeks so far are jaw dropping! I am dying having to wait to place my order, hurry up already, LOL! 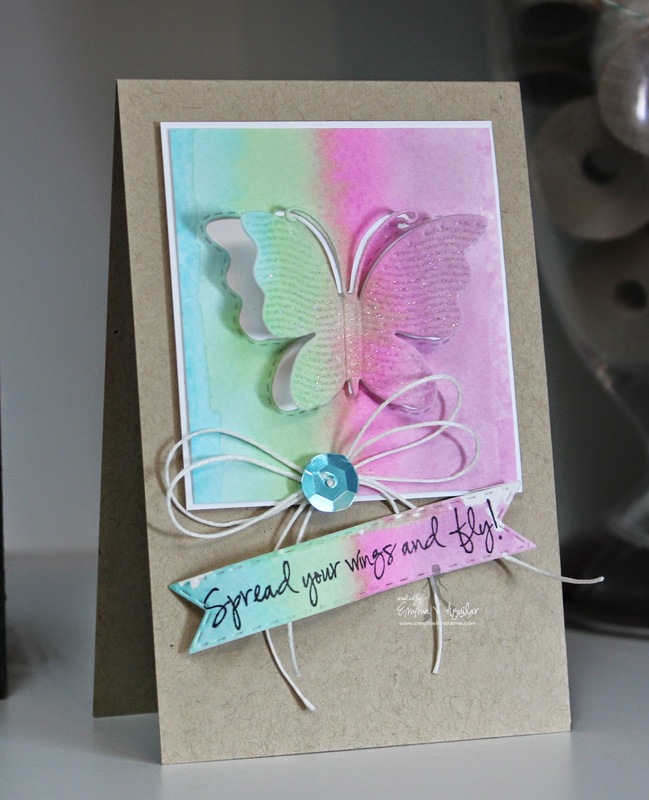 Your first butterfly card is stunning Emma! All the others are beautiful as well! Again the design team went above and beyond! They did a superb job! PS: I am SOOOO excited to see next months release! You have me on the edge of my seat! It is so incredibly delicious. Just love all the new stamps and die cuts. Way to go Emma. This may be my favorite peak from the release. Wonderful project DT. Great peaks Emma! Love this release. That dragon fly die is quite unique - your releases always are original and I love seeing all yours and your design team's creations. Love the butterfly and dragonfly dies, very sweet. I'm definitely purchasing this release, I just can't pass it up! The sneak peaks have been amazing all week from you and your DT, Emma. It's going to be so hard to pick what to get from this wonderful, new release I am sure! I LOVE the dragonfly and butterfly dies. Thanks for sharing. can't wait til tomorrow to get my order in!! Beautiful cards! 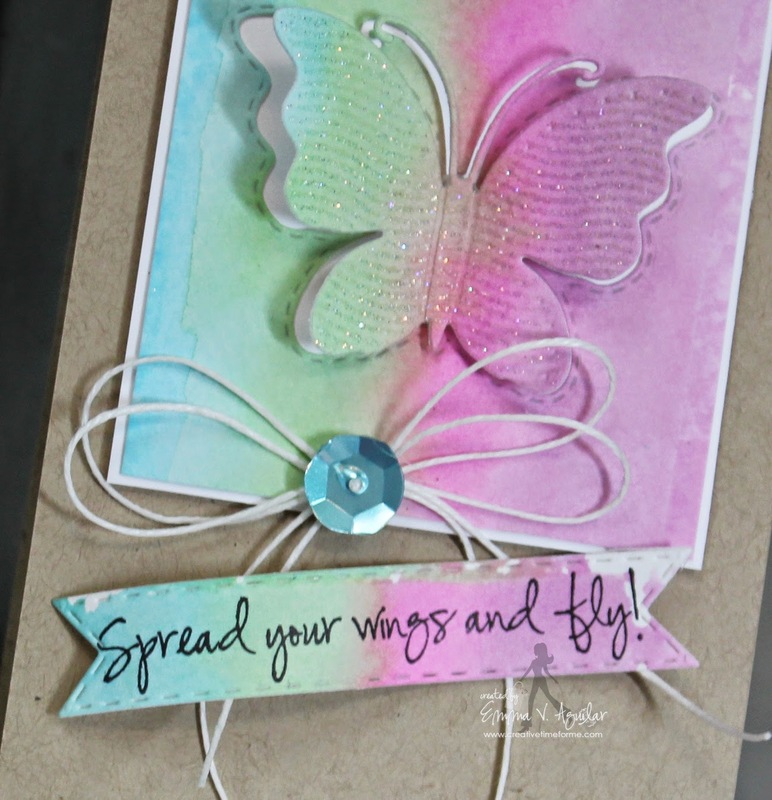 I love the butterfly and dragonfly die! Such beautiful cards and terrific dies, but I have to say I have fallen madly in love with that dragonfly die! I just love anything that has to do with butterflies!!! I absolutely love your creations!! OH MY GOODNESS!! Those butterfly dies are a must have!!! I love this entire release! You and the DT did an amazing job all week!!!! You have done it again!!! :) What an incredible new release!!!! Love, love, love these BEAUTIFUL butterflies!!!!!!! That "Live, Love, Laugh, & Be Happy" stamp seems like it was custom made-my all-time favorite saying! Great release and love the butterflies! Thanks for sharing such fun ideas with your releases.